The BAT is back, flying on Wings of Chains! 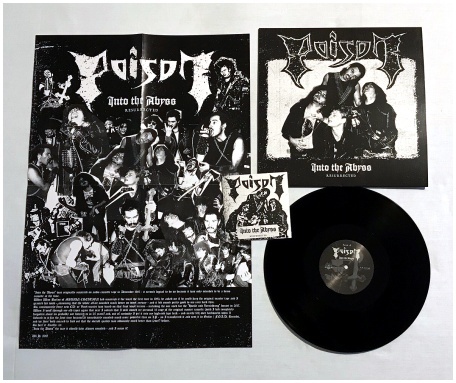 This American speed metal cult have built up a considerable reputation the last couple years, on the back of their Primitive Age demo and subsequent Cruel Discipline single as well as tireless treks across the United States. And now, their highly anticipated debut album is at hand, appropriately titled Wings of Chains: a 12-song firestorm of filth and fury. 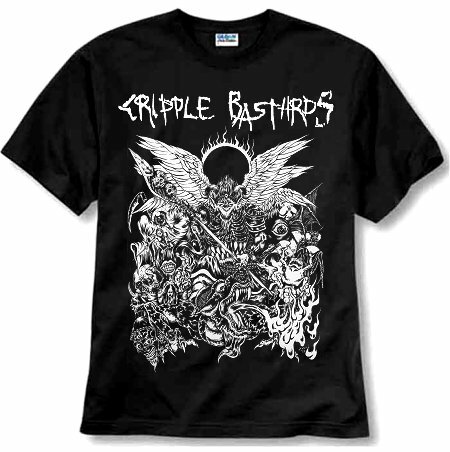 By now, BAT's esteemed membership is well known and their collective experience bleeds through every gnarled note here. But more than that, such hard-charging and immediately headbanging speed metal can only come from total diehards who intimately know the secret of steel. From the opening "Bloodhounds" on down to the band's titular theme song, BAT barrel forth like filth hounds of Hades, pounding metal with violence and force, leaving "Total Wreckage" in their wake. If any doubters do exist, the band will exercise "Cruel Discipline" in teaching the "Rule of the Beast," culminating in their raison d'etre - "Code Rude"! Endlessly wild without sacrificing any seriousness, Wings of Chains wraps itself around your earlobes and commands instant thralldom - but when heavy metal is this dirty and memorable, who's to argue?